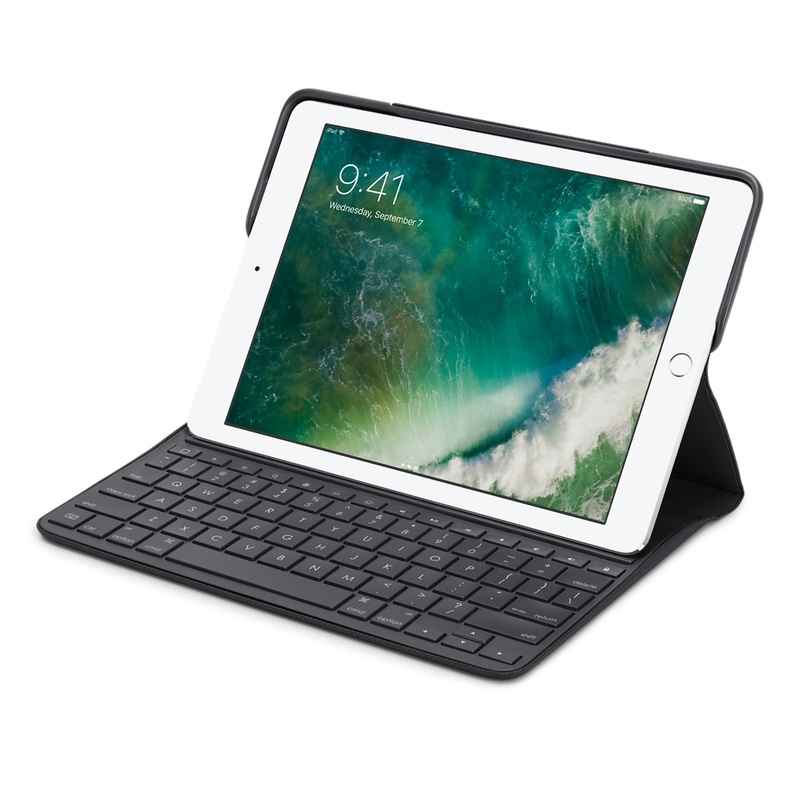 I recently picked up an iPad Pro (9.7″), along with the Apple Pencil and a Logitech keyboard/case. I’m trying the package out as an alternate work configuration, and so far am quite enjoying it. It’s also good to force me to test more of our software from a mobile perspective. The screen on the iPad Pro is gorgeous, so it’s pretty similar to using a MacBook Pro. Being completely touch-based makes it feel much more interactive and “engaging”, which is weird. I also find myself using the Apple Pencil quite often, just because it’s so precise, and is surprisingly pleasant to use for interacting with even very finger-touch optimized UIs. I’ve been doing some diagraming and “visual” type work lately as well, so it’s refreshing to be able to do that digitally and feel like it’s not a huge compromise over just doing it with paper/pencil/post-its. Logitech’s keyboard case packs a surprisingly “real” keyboard into a relatively small pacakage, although it still feels pretty hefty and clunky when compared to the Apple Smart Keyboard. The backlighting on the Logitech one is really nice though, and again, makes it feel like you’re using a laptop rather than a tablet. The OCD side of me is really twitchy though, because when you have the Apple Pencil in the case as well, it folds up so that that pencil rests against the screen of the iPad. Literally 1 centimeter to the side and it could have snuggled up against the side edge of the iPad and 1. not rested on the screen, 2. allowed the whole package to close flatter. Split-screen mode on the iPad is a surprisingly effective approach to multi-tasking/multiple windows, and I find myself using it quite often to bring something up in a side panel, so that I can refer to it while working in a main window. I’ve also discovered that a lot of the expected shortcuts (like cmd-tab, cmd-t, cmd-l, cut, copy, paste) work when you have an external keyboard in operation, again making things feel like a laptop/full experience. I’ve locked down my notifications on the iPad more aggressively than elsewhere, so I get interrupted less when I’m using it. That makes it a great device to sit in the morning and get some “isolated” work down, without distraction. We’ll see how it goes as I attempt to make this a more permanent part of my workflow. Of course, this post was written on the iPad. I used the web UI of WordPress.com to post via Jetpack to this self-hosted site. Some of the Cordova APIs for adding native elements to hybrid web apps. Swarm is a reactive data sync library and middleware. Swarm synchronizes your app’s model automatically, in real time. Nice quick summary of a few of the very common/successful mobile design patterns that can contribute to a well-received app. Good collection/model for breakpoints when doing mobile web development. CSS boilerplate and pattern for handling off-canvas UI, esp for mobile.